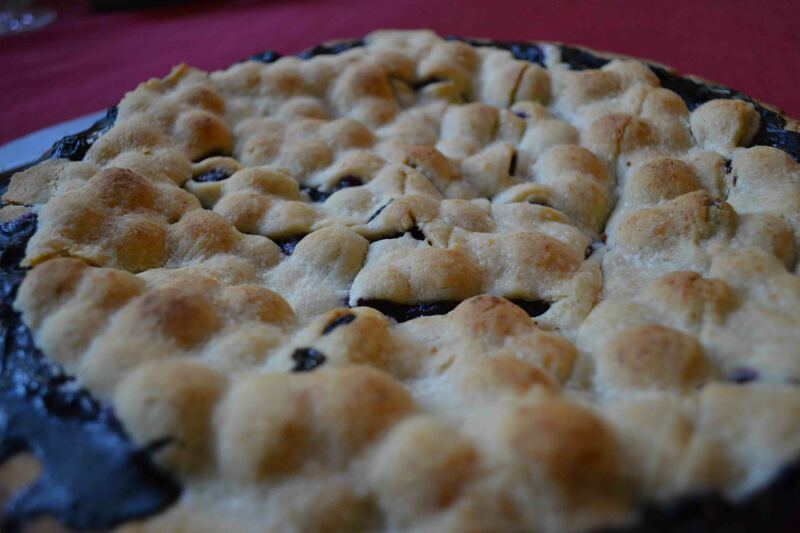 Blueberry pie is the most-baked pie in our house! Blueberries may be my brother’s favorite fruit. My mom is an amazing chef (I can only hope to be as talented as her) and when she asked him what he wanted for his homemade birthday cake each year, most of the time he wanted blueberry pie! Unless he asked for blueberry cobbler. Unfortunately his birthday was in November, which meant that Mom worked her magic without even using the best blueberries! Needless to say, we love blueberries. So now that blueberries ARE actually in season, I knew it was time to bust out a good blueberry pie recipe! Of course, I turned to my mom’s recipe, which is based on the Joy of Cooking recipe. One caveat: most of the time, I make my own crust. (Again, mom taught me right. Thanks mom.) But recently life and work has been full so to save time, I bout an uncooked crust from the grocery store. I’ve done the before with no issues, but this time was a disaster! I pulled it out of the fridge and let it thaw, but even after warming to room temperature the pie dough split and broke! It was terrrible! Because I pressed for time, I MacGyvered it back into one admittedly Frankentein-esque piece intsead of buying a new one or waiting for the butter to thaw to make a homemade one. Worst of all? It was a Trader Joe’s pie crust! I love Trader Joe’s, so I was so disappointed that it was so poor quality. It tasted alright but was a distaster to work with. Of course I still love Trader Joe’s and will keep shopping there, but maybe not for pie crusts in the future. Serves me right for not making homemade, I guess. Anyway, let’s make blueberry pie! My disaster of a pie crust. Note the places I rubbed it back together with my fingers, and one spot where I actually pulled an excess piece of crust edge into the middle to fix a pretty gaping hole. Meanwhile, turn to those blueberries! Make sure and rinse them off first, but dry them well before going to the next step. You don’t want to dilute the flavor from watery blueberries! 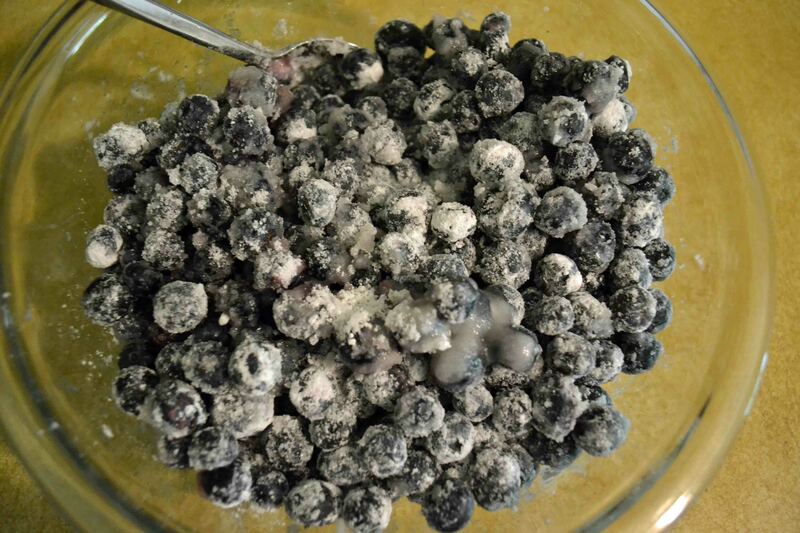 After you rinse and dry the blueberries, combine them with cornstarch, sugar, lemon juice and salt. Stir well so everything is covered! Let sit for 20 minutes or so to combine. Sprinkle pats of butter on top of the mixture. Crimp the edges and cut holes for ventilation. I cut an Air Force logo to celebrate Logan’s JAG appointment (forgive my artistic skills). After its baked! Unfortunately the design disappeared amongst the crease lines from the busted up pie crust. Just waiting to be sliced into. This recipe is adapted from the Joy of Cooking. If using store bought crust, pull it out and let it get to room temperature. Put the oven rack to within the lower third of the oven, and preheat to 425°F. Grease a 9-inch pie pan and line with half the dough. 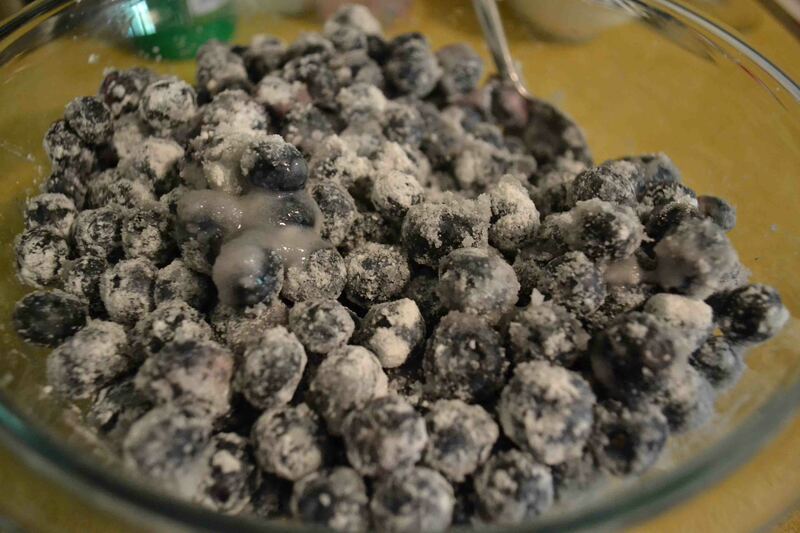 In a bowl, combine berries with sugar, cornstarch, lemon and salt. Stir gently but completely and let sit for 20-30 minutes. Put the berry mix into the pie dish. Cut the butter into small bits and scatter on top of the berry mixture. Add second half of pie crust dough on top. Crimp the edges and cut holes in the top for ventilation as it bakes. 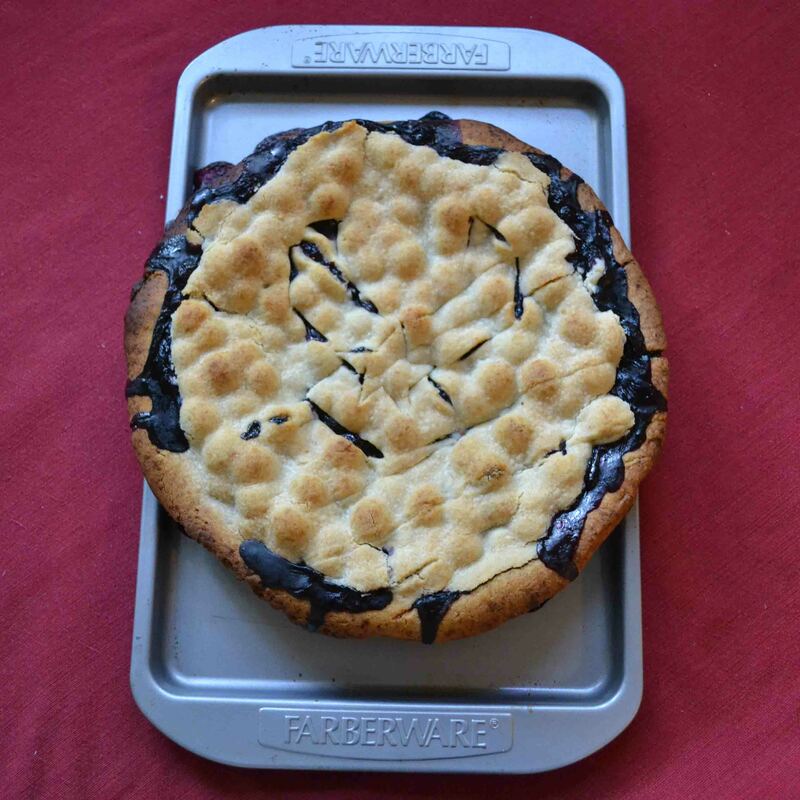 Place pie on a clean cookie sheet, then the cookie sheet in the oven. (This means that if it bubbles out the sides, there’s less mess in your oven.) Bake for 30 minutes at 425°, then lower the temperature to 350° for another 20-30 minutes. Pie is done when edges are golden brown all around.